I hear something new each time I replay her book. brilliant i love it ⛤⛤⛤♥♥♥♥. 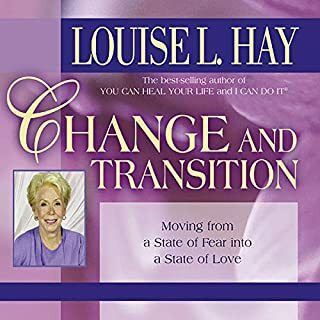 In the first part of this inspirational audio program, Louise explains how we create our experiences as a result of our accepted thinking patterns, and how we can switch them to ones of love and success. In the second part, Louise presents a healing imagery visualization full of positive statements about who we are and what we can be. 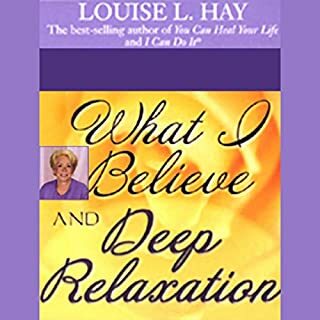 ©1991 Louise L. Hay (P)2005 Hay House Inc.
By far, my most favourite audio so far. So many gems & I love hearing Louise's story, so inspirational. Once again Louise managed to speak about the issues I really needed to hear. Something I have listened several times to get the message as part of my life naturally and more you listen the more it will become part of you. "What you give out, you'll get back." It's like she's speaking to me personally. She connects the dots for me & gives me something I believe will free me from a lifetime of misery if I do the work along continuing to use my other tools. I will listen to it often! Recommend!! I will listen to this book again and again. It is delivered so well and easy to understand and apply. Absolutely loved it! I've listened to this over and over for about the last 10 years now. great reminders for how I may be thinking negatively in the moment. 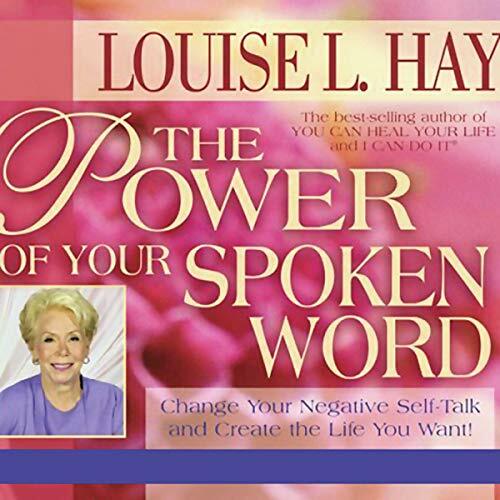 be sure to listen all the way to the end as the prayer / affirmation by Louise Hay is truly inspiring. Louise was amazing! Great lecture. What an impactful and informative speech. Be mindful of what you think and speak into life. Helps you tap into the feeling of oneness and the profound connection you have with yourself and the universe. 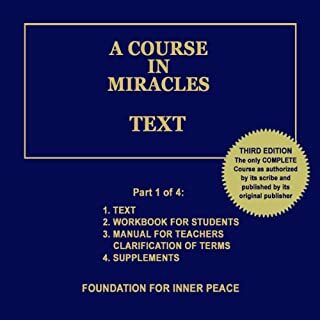 Very powerful teachings, but takes effort to translate them into action. If Miss Hay would just stick to affirming without adding dialogue these would be worthy audibles. I know that they are modeled after the books, however, for the purpose of affirmation only her audibles would be so much more beneficial if she could develop a soundtrack that just spoke the affirmations. Found this very inspiring, will be using techniques and practices, always put myself down being dyslexic now want to shine. 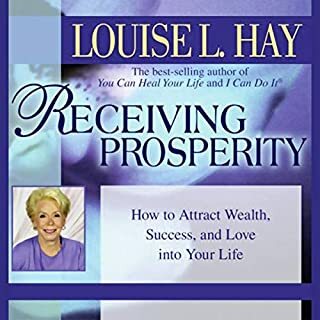 Love Louise’s books and her voice alone is therapeutic. They are also great value for money. I'm about to listen again. So much truth and wisdom in what she is saying. If you could sum up The Power of Your Spoken Word in three words, what would they be? 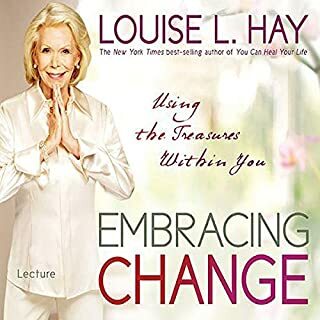 Have you listened to any of Louise L. Hay’s other performances? How does this one compare? 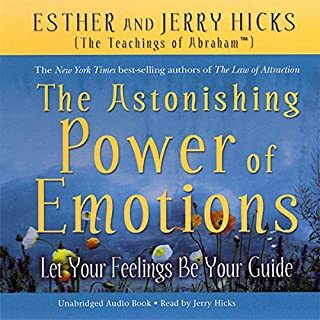 Another great audible book - definitely worth a listen if you are concerned about your life direction. Reinforce knowledge previously attained - very engaging & rings true to me...Truth is Individual! Didn't know what to expect from this book, but found it a very quick listen to and learnt a thing or to.